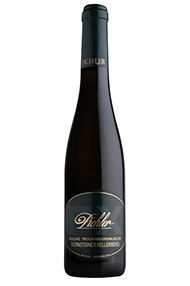 The Wine Advocate - The Pichlers 2009 Riesling Kellerberg Trockenbeerenauslese had not finished fermenting when I visited the estate in June last year, but tasted from bottle this June it gave a terrific account of itself. 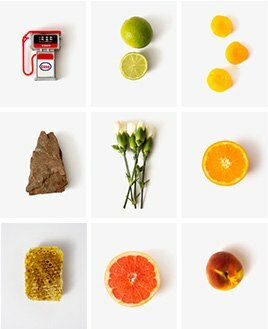 Candied pink grapefruit and orange rinds; pear nectar; quince and apricot preserves, are all wreathed in peat-like smoke and musky floral perfume; tinged with caramel; and accented by pepper in a manner familiar from this site, here with reciprocal reinforcement by botrytis spice. For a wine of such sheer intensity of flavor and creamy richness of texture, this shows an impressive command of flavor detail	spice, citrus zest, and saline, alkaline, smoky mineral counterpoint as well as displaying uncanny buoyancy and refreshment. The 350 (!) grams of residual sugar in no way translate into cloying or tedium: on the contrary, sheer sweetness is far from ones mind while being dazzled by this performance. Nor do the wines theoretically German Eiswein-like 17 grams of acidity come off as sharp. Thats balance! There are only 450 liters of this nectarous essence of Kellerberg, all in half bottles. Weingut Franz Xaver Pichler in Dürnstein is a family-run winery based in the Austrian wine region of Wachau. The vineyads consist of 16ha of vines, mainly Grüner Veltliner und Rheinriesling. Grüne Veltliner M (for Monumental) and the Grüne Veltliner Kellerberg Smaragd are their flagship cuvees, followed by the Rheinrieslinge M, Unendlich and Kellerberg Smaragd. 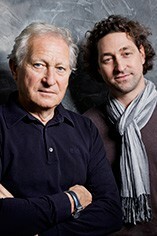 Hugh Johnson described the winery as one of the leading growers in the region of Wachau.